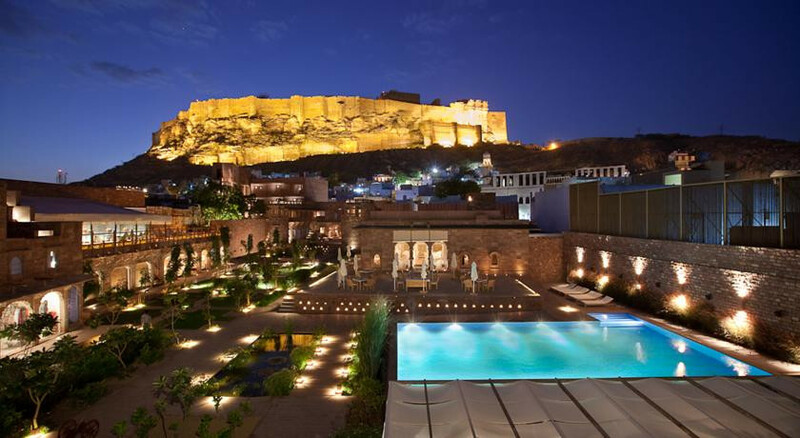 This chic hotel boasts design suites with statement bathrooms, fort views from the terrace restaurant and unbeatable glamour. Located down an unassuming gulley this modern hotel enjoys a most central location in the Old Town. Check out the next door Sadar Market, the perfect spot for buying spices, sweets, silver and handicrafts. RAAS is a favourite place to stay during the RIFF music festival. Enjoy the traditional musical performances held each evening. Head out to the local Bishnoi villages- make pots, weave rugs and try opium tea! Overlooking the fort, within walking distance of the Clock Tower and Old City. 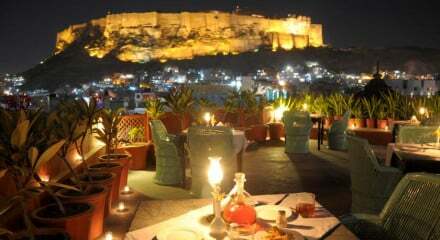 "A hip, modern conversion of an 18th-century haveli located within the old walled city of Jodhpur, RAAS is the Blue City’s most stylish hotel and restaurant option." "A blue infinity pool, set in Mughal-style terraced gardens; a 19th-century pleasure pavilion for dining; and 300-year-old ornamental buildings of the women’s purdah quarter, which now include a spa." "Once I'd passed the imposing carved wooden doors of this 150-year-old former noble residence, the turmoil melted away; I was enveloped in the tranquillity created by the thick, boundary walls."